Download press images from Dropbox. Elementa's stand on the Norwegian Presence exhibition in Zona Tortona during Milan Design week. UN Divided Table and dB Silent sideboard by Jonas Stokke and Jonas Øystein of StokkeAustad, Ur water cans by Kneip, Klorofyll flowerpot by Anderssen Voll and Ki light plant lamps by Hallgeir Homstvedt. KI Light by Hallgeir Homstvedt. 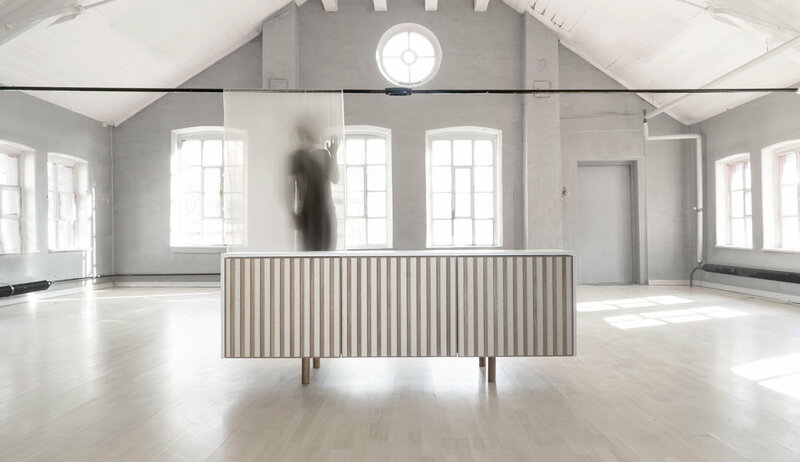 dB Sideboard and cabinet by Jonas Stokke & Øystein Austad of StokkeAustad. dB cabinet by Jonas Stokke & Øystein Austad of StokkeAustad. The Derive is a meditation object with an extra dimension: Move it to open a real time audio stream from a hidden place in a forest in Vestfold, Norway. Some times there will be birds and insects, other times, lush winds, rain or thunder - but more often than not, forest silence. Forest listening station spot connected to the Derive,Vestfold, Norway. UN Divided Furniture Series by Jonas Stokke & Øystein Austad of StokkeAustad for Elementa. UN Divided Furniture System by StokkeAustad for Elementa. Video by Svein Gunnar Kjøde. Ki Light by Hallgeir Homstvedt. 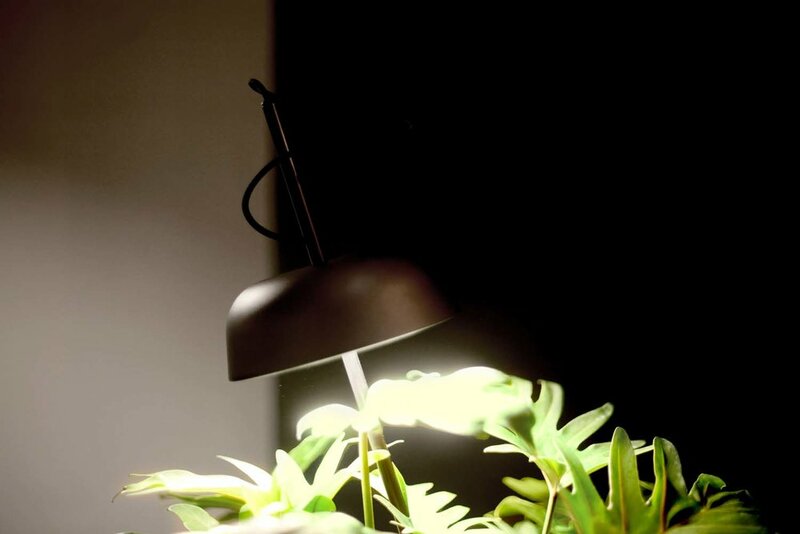 The spear version uses a planter as a base - plunging the lamp directly into the soil. 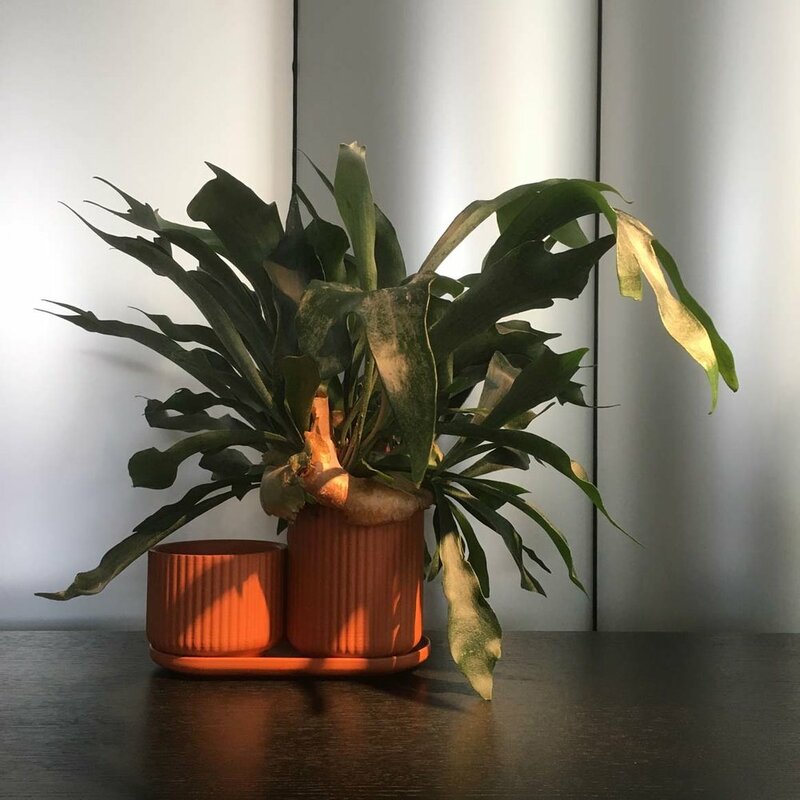 Ki Light by Hallgeir Homstvedt for Elementa - with cast iron base to place a flower pot or any other stuff you might have on your table.